If you are planning on getting married next year, even if it is not in our Church you are more than welcome to join us at St Thomas’ Church Hall, North Road, Darlington on Saturday 5th November 10 am – 3.30 pm. Please let us know in the office if you will be attending. 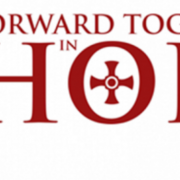 There will be a Vicariate meeting here in St Augustine’s Parish Centre for the southern part of the Diocese on Wednesday 12th October at 7pm.